It's the last day and Sunday in September. This has been the fastest year of my life since I became an adult; feels like I said "Happy new year" weeks ago. Anyhoo, at the beginning of this month, I invited you to join me on a journey that would have us return to all our plans from the start of the year and try to execute them. I followed through with it, and I'm halfway through one of the courses I planned to take. What was your September achievement? Please share with me. 3. The superpowers over at Facebook who created the Reactjs language and the Create React App have announced the Create React App v2.0.0 beta. If you would like to give it a test run, do so here. 3. Ingressive will be hosting the Tech Meets Entertainment Summit (TMES): "Building Investment-ready Companies in Nigeria", an event for entertainment and tech practitioners. Discussions will be around educating industry practitioners in entertainment and tech on how to maximize impact and monetize relationships. The event will be held from the 24th through to the 25th of October at the Zone Tech ark, Gbagada, Lagos. If you work in the tech and entertainment industry, and would like to be at the event, find more details here. 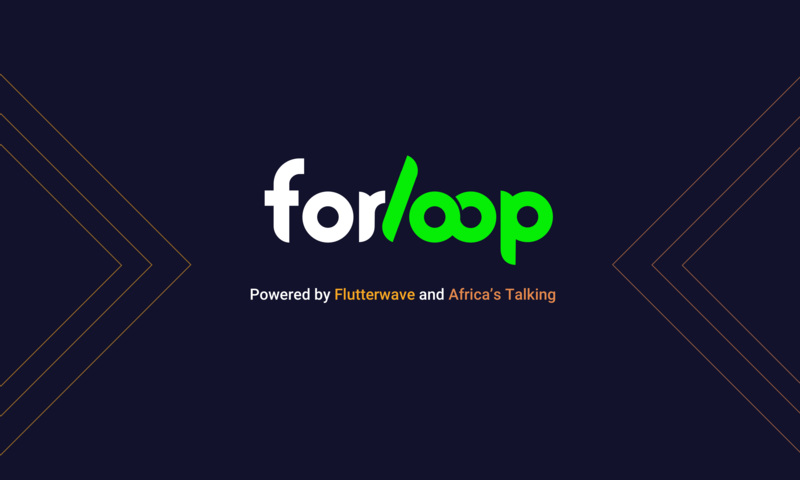 + Submit your forLoop Tanzania talk proposal, ahead of the maiden meetup, here. + Register to attend the forLoop Zambia meetup on the 6th of October. + Register to attend the Figma Africa, Rwanda design workshop, "Learning the basics of design", in Kigali. If you're looking to learn or teach design, this is for you. +Save your seat at the "African Women in Technology and Business" event organized by Nectar Hub and ARPG Tech. Get the opportunity to network with industry leaders, get access to foreign funding leads, and meet a potential mentor. The event takes place on the 18th of October. - First Bank of Nigeria hackathon, First Bank Innovate, seeks to produce technology and digital solutions that will improve banking processes and deliver value to users. The hackathon is slated to take place from the 11th to 12th of October. Read more about the hackathon and register here. - The Nigeria Inter-bank Settlement System (NIBSS) hackathon 2018, will be held from the 6th to 8th of October. The objective of the hackathon is to build solutions that address innovations in Fintech and biometric authentication. Cash prizes, up to N3million, are up for grabs. If you'd like to compete, register here. - If you're an academic or a developer who writes papers and articles a lot, you'll love Margins (made by @fermatslibrary). Margins is a free, online repository for sharing and annotating papers, plus collaborating. Check it out here. In this article, Sai Gowtham, (@saigowthamr), shares the secret to becoming a better (technical) writer. Nicky Hajal, a software developer, talks about why your best work is hardest to finish. Don't forget to wish your Nigerian friends a Happy Independence Day anniversary today. Have an amazing October ahead!